You always wanted to be an actor. 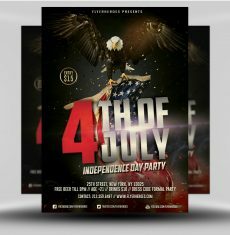 To excel at your craft, then walk the red carpet with all the celebrities. The glitz! The glamor! Unfortunately, like the rest of us normal people, your Hollywood aspirations never quite worked out. That’s why this year you’re acting like they did! 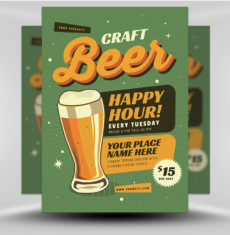 You’re throwing a party for the Golden Globes. 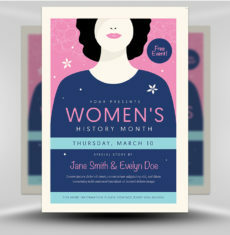 It’ll be sophisticated, luxurious and down-right fancy! 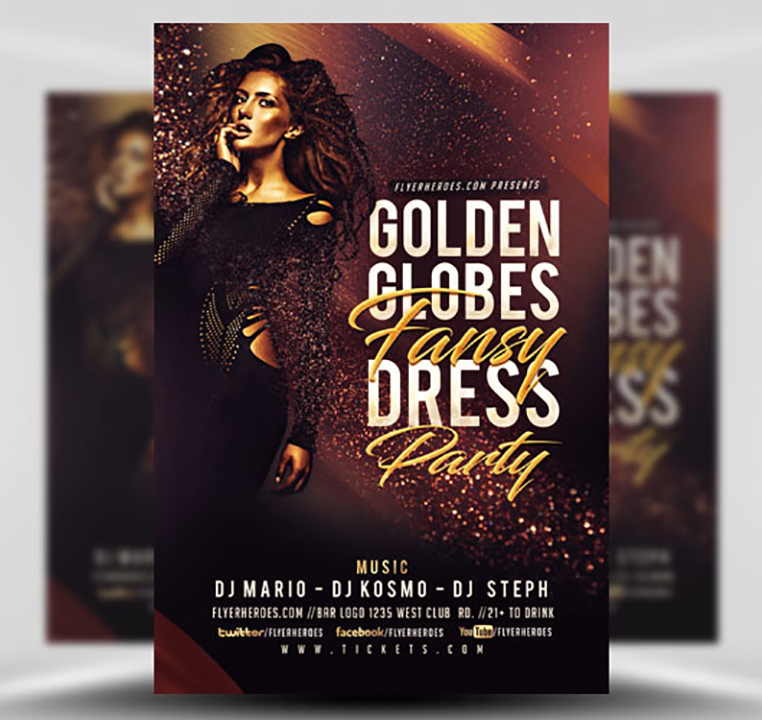 See Hollywood’s best receive their prestigious award and throw a party of your own with the Golden Globes Fancy Dress Party Flyer Template from the pros at FlyerHeroes.com! 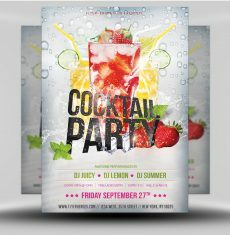 This flyer is expertly designed by our team. 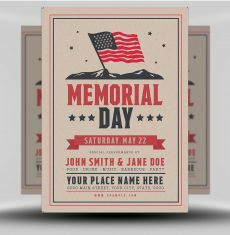 It’ll catch the eye with striking text and incredible color. 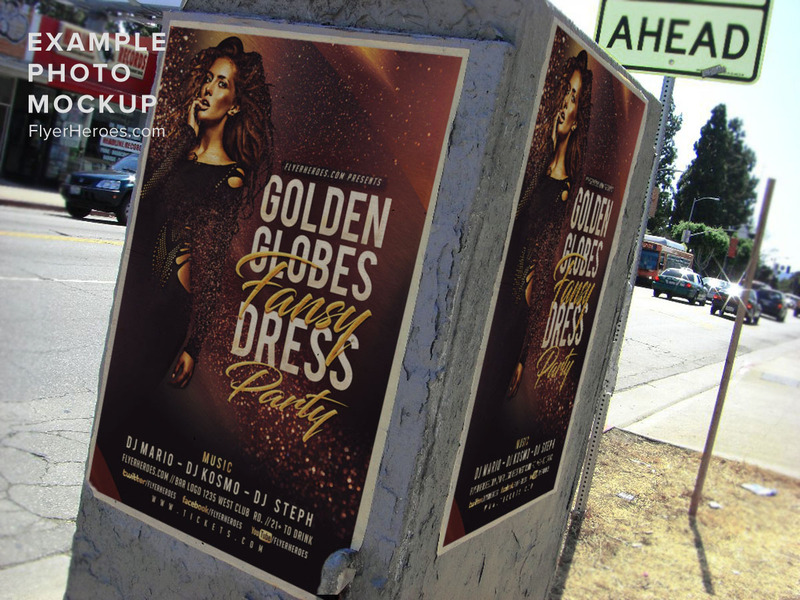 Plus, it’s fully customizable – so let everyone know all the details about your Golden Globes party! 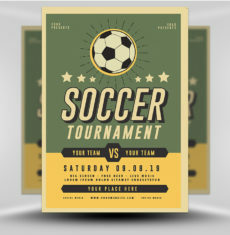 Add in some social media to get the conversation started…who will win? Who will lose? 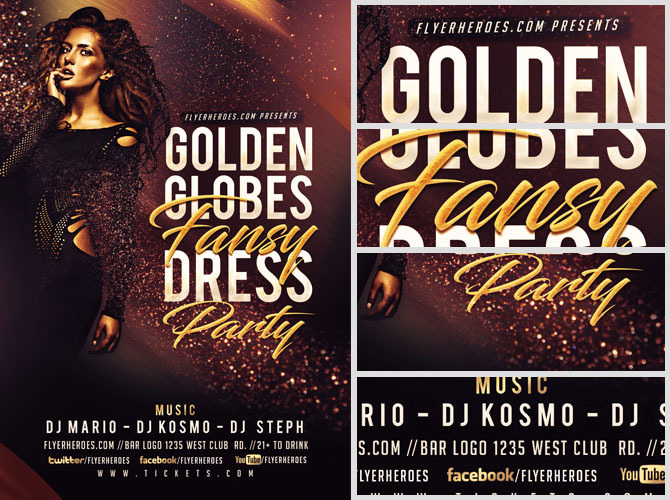 Experience the Golden Globes with a party of your very own. 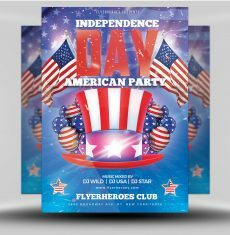 Feel like a celebrity with the Golden Globes Fancy Dress Party Flyer Template from FlyerHeroes.com! 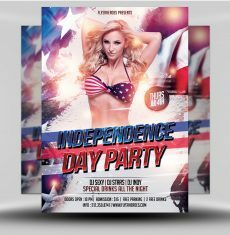 If you’re looking for themed party flyer templates – look no further! 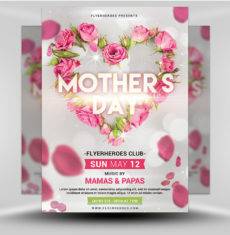 FlyerHeroes.com has countless flyer templates all at the click of a button, so click on the search bar and browse around. 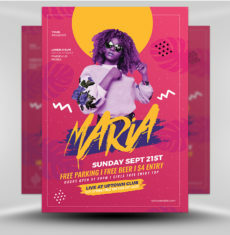 You’re bound to find a flyer template to fit your exact party needs! We can’t all be Hollywood’s best and brightest. 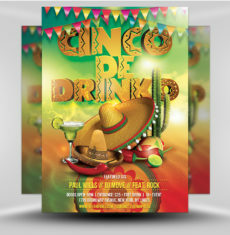 Celebrate one of the biggest Hollywood parties with a party of your very own! 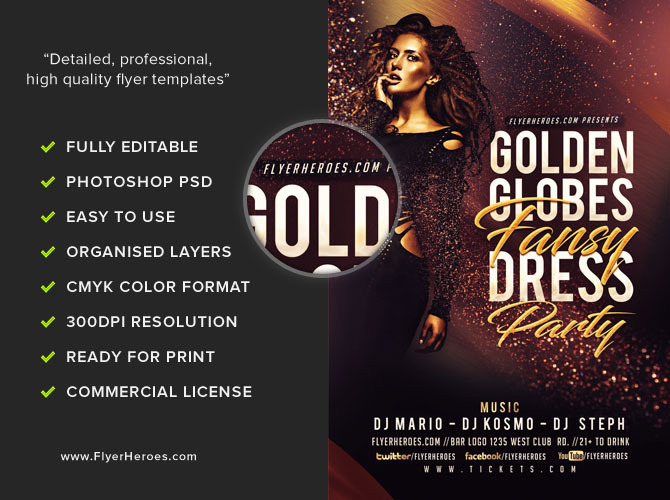 The Golden Globes Fancy Dress Party Flyer Template is available right now from the pros at FlyerHeroes.com! 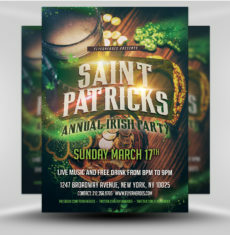 Golden Globe Fancy Flyer Template is a premium Photoshop PSD flyer / poster template designed by FlyerHeroes to be used with Photoshop CS4 and higher.